Starting our journey to the Valley of Perené we will appreciate the Profile of the Sleeping Native that is on the top of a mountain. We will continue our tour and we will be able to observe the confluence of rivers that give birth to the Perené river. We will continue the trip to Yurimaki where the journey begins to climb to the Velo de la Novia waterfall with a drop of 60 meters. height approx. Then we will visit the Bayoz Waterfall with falls in three times. Motorboat trip outboard by the waters of the Perené River. Cultural Exchange in the Asháninka Native Community. Entrance to the coffee processing plant, liquors, jams, nectars, etc. Arrival at La Merced. Breakfast. We will arrive at the Kimiri Bridge, here we will start the walk. We will observe citrus plantations, we will go through various tests such as climbing lianas, climbing rocks. Full adventure route, through fun tests we will reach the Las Reinas waterfall where we can take a rich and relaxing bath and perform tests of bravery. We will return by a different path. Breakfast. We will leave with destination to the city of Oxapampa. Panoramic view of the District of San Luis de Shuaro. We continue to the Mirador de Mesapata and Monument of welcome to the geocentric city. We will arrive at the main square and Church of Santa Rosa, main typical houses, Artisanal Plant “El Wharapo” (tasting and purchase). Tunki Cave (stalagmites and stalactites). Visit to the plant for the elaboration of dairy products and derivatives, “PRODUCTOS NEVE”. 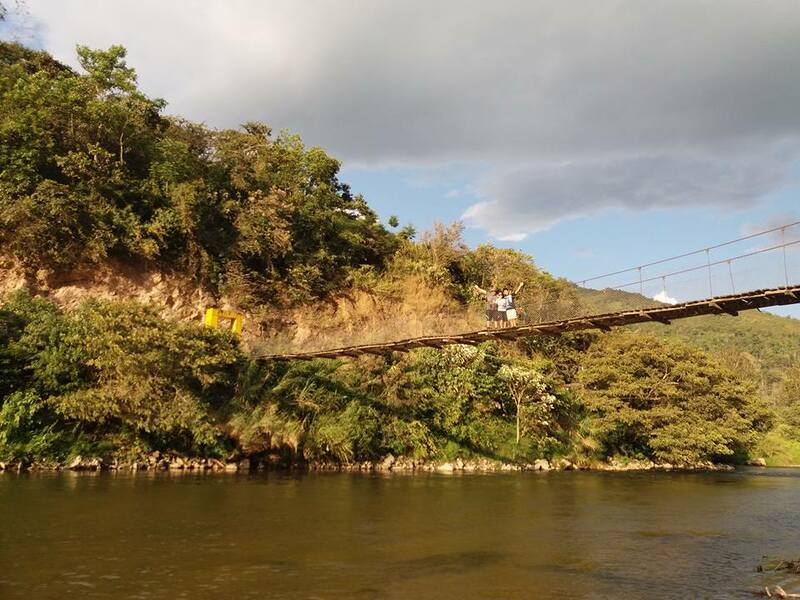 Suspension bridge of Chontabamba. Return to the city of Oxapampa. Overnight in Oxapampa. Breakfast. We begin the trip to Pozuzo. 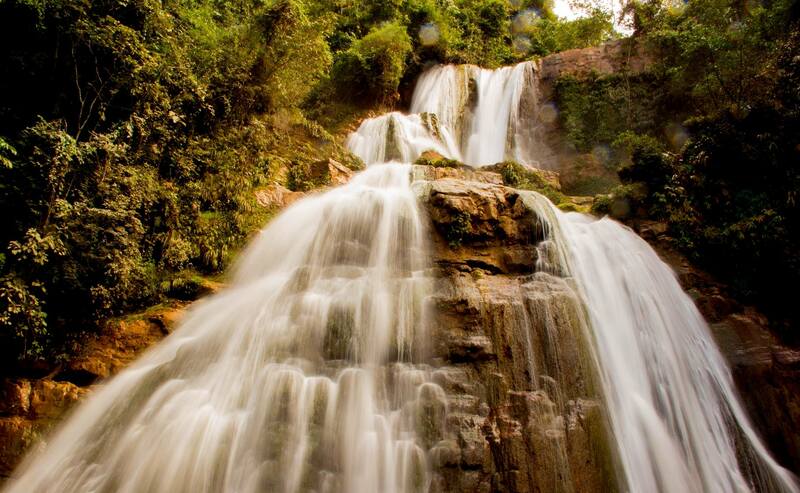 On the way we will see the Rayantambo Waterfall, the Yulitunqui Waterfall, the Gallito de las Rocas viewpoint. Arrival at Pozuzo. Visit to its Main Square, San José Church, and the small town of Prusia. Typical Lunch (on behalf of the passenger) Francisco Schafferer Museum, Cemetery of the Settlers, Suspension Bridge “Emperador Guillermo II”. Return to Oxapampa. Transfer to the Terrestrial Terminal of Oxapampa to return to the city of Lima. Wear light clothing (jungle) – swimwear – repellent – sunscreen – waterproof for possible rain – sunglasses – cap – hiking shoes – flashlight – camera and / or video camera – personal documents. Terminal / Hotel / Terminal transfers.